Canal Head Works - Its Function, Components, Site Selection. Canal Head Works – Its Function, Components, Site Selection. In this article, you are going to learn about the canal head works; its function, components, site selection, in details. Site Selection for Head Works. Permanent canals are provided with permanent Head Works at the site from where they take off. 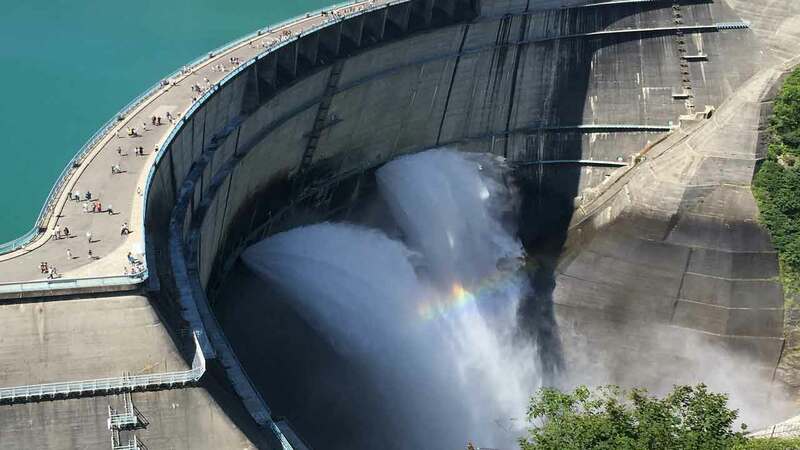 Head works comprise the construction of a permanent weir or a dam across the river along with other subsidiary works which will be deal in this article. 1. 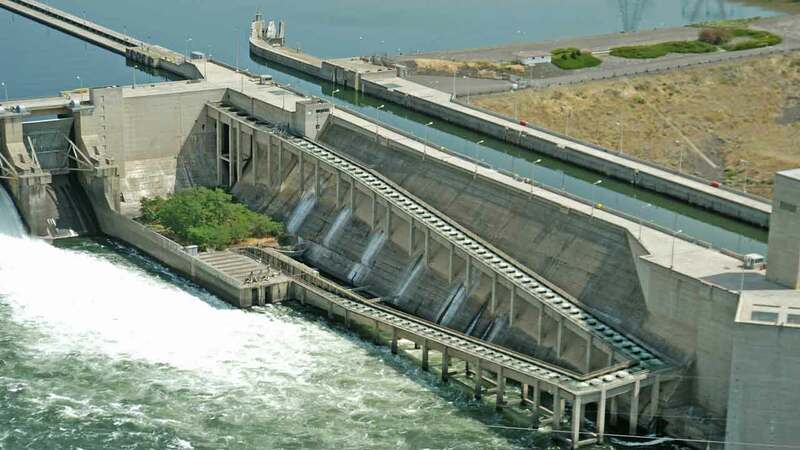 To prevent water required for canals passing the head works at a level below that at which it can be utilized and to prevent of any flow downstream. 2. To raise the level of the supply so that it can irrigate the area more efficiently. 3. To gain command economically when the canal has to pass in expensive cutting. 4. To reduce the fluctuations of the level of the river. 5. To control the silt entry into the canal. 6. To render the head works permanent thus ensuring the required supply into the canal and to prevent them from being affected by the vagaries of the river. Read Also: What is a Surge Tank? Its Types, Definition, Functions, & Principles. Following are the parts / components of head works. 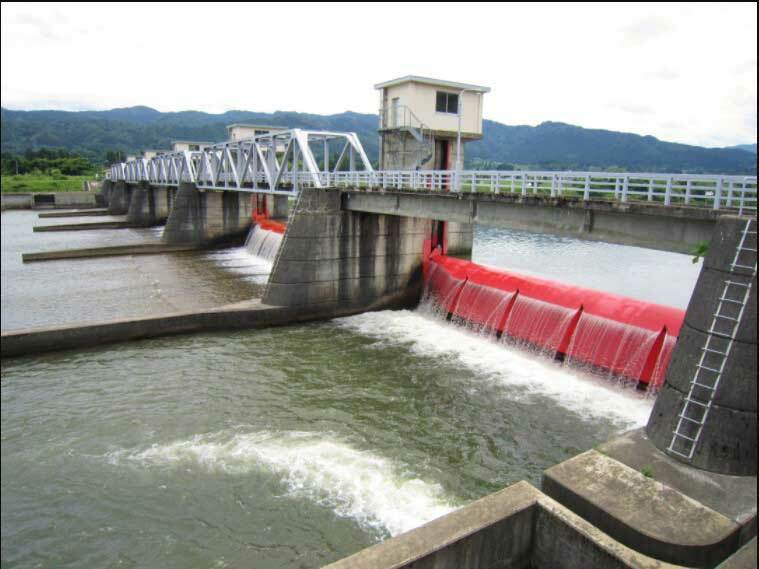 A horizontal barrier is constructed along side the river horizontally which is known as weir. The weir should be situated at right angles to the main stream of the river as far as possible. The under sluices are constructed on the side of the river where, the canal takes off through the structure known as the head regulator of the canal. If there are canals taking oft from both sides of the river upstream, then there shall be two under sluices, one on each sides. There shall similarly be two divide walls. and spurs to control the fiver spilling the country-side upstream of the weir on account of the afflux caused by the weirs. The head works site is very suitably situated between the high ground on the both sides. The canal head regulator is of three fold. 1. To regulate the supply entering the canal. 2. To control the amount of silt entry into the canal. 3. To shut out river floods entering the canal. In the large rivers, the fish are always moving from one part to another, in the beginning of winter they leave the cold water in the hills and move down to the relatively warm water in the plains. Before the monsoon in the months of May and June they move up again in search of clear water. Fish can easily travel against current of water with velocities up to 10 or 12 feet per second. The design of the fish ladder should be such that the velocity of the current against which the fish have to move shall not be higher than this limit. 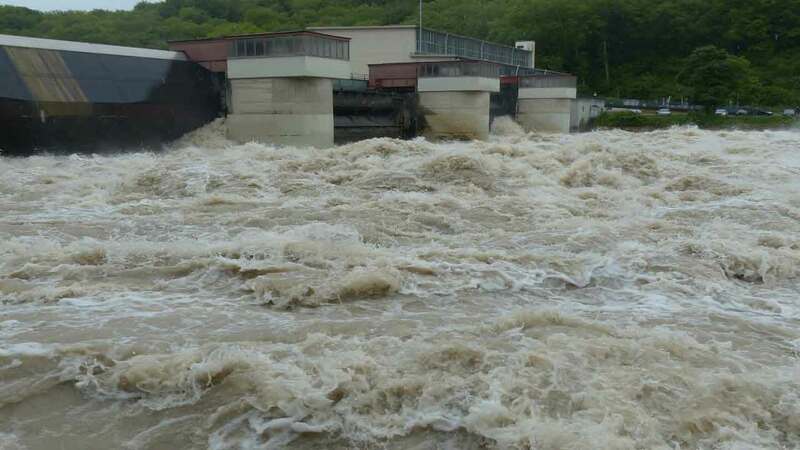 There is usually a head of about 16 to 20 feet from the upstream of a weir to the downstream water level on the river in the winter months. The divide wall is simply a long wall built between the weir and the under sluices. It separates the turbulent river in maximum floods from the pocket in front of the canal head regulator. The wall extends upstream to a little distance beyond the beginning of the head regulator and downstream to the end of the Talus of the under sluices. This wall plays a very important part in controlling the entry of silt into the canal by enclosing a pocket of very nearly still water and by separating it from the turbulence and vagaries of the alluvial rivers in floods. River control works are used to provide approach to weir and to prevent the river from out flanking the weir. They are also used to prevent the erosion of the river banks and to prevent additional area to be submerged in the water due to afflux. Read Also: A Detailed Guide on Concrete Pipes, Vitrified Clay, Cast Iron, & Asbestos Pipe. The decision whether the head works of any canal should be situated in the hill boulder tract, or in the sandy trough, must be determined by the position and level of the country which requires irrigation. unless the excess of cost renders one of the sites a financial impossibility. There are, however on general grounds, four strong arguments in favor of the trough site. and possibly with the supply from some affluents, will give an increased discharge at the trough site. Secondly, a canal from boulder head works is certain to lose a large proportion of its supply from percolation, and this loss may be greatly increased if the channel passes through lights. Thirdly, the tracts lying at a short distance from the hills rarely require water with the same urgency as those lower down, and the quantity they need can generally given by petty works from minor hill or spring streams. Fourthly, the certainty of getting all supply in the river at any moment when required, is ensured by a masonry weir titted with a proper regulating arrangements better than by the boulder weirs in boulder reaches which are not absolutely water tight. The trough weirs are more expensive than the boulder weir as the stone has to be imported from long distances. Trough weir require very expensive training works and marginal bunds. A heavy annual expenditure on the training works must be considered a necessity for all big trough weirs. 1. A side channel should be selected which is not directly subject to flood action and into which the cold weather supply can easily be diverted from the main channel. 2. The side or supply channel should lead directly to the fixed off-taking site for the excavated canal. If the canal was to take-off from the main channel, it shall need very massive and expensive works. 3. The control over the supply channel is maintained by making its bed slope after the first thousand feet or so something less than that of the main river. The site should be such that a rise of 5 to 8 feet is attained at the canal head. Read More: Pipe System Design – A Complete Guide. Thanks for reading this article.Please, don’t forget to share it.